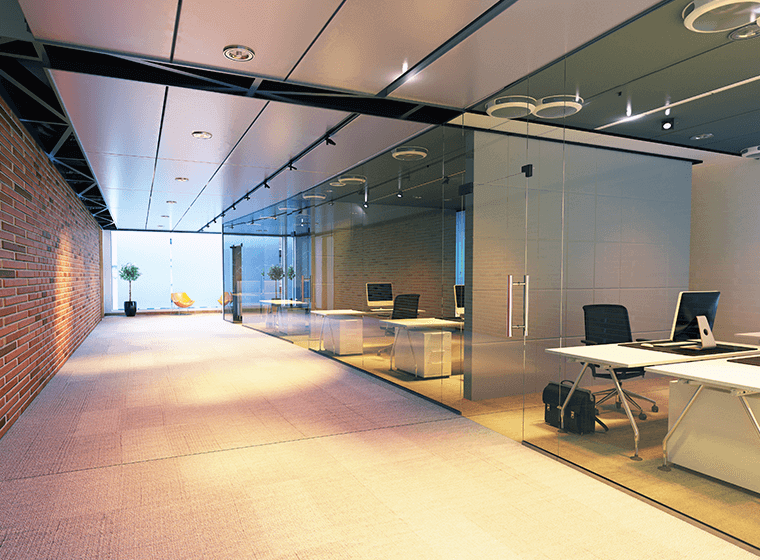 In a perfect world, we would all have spacious offices with big, bright windows all around us. 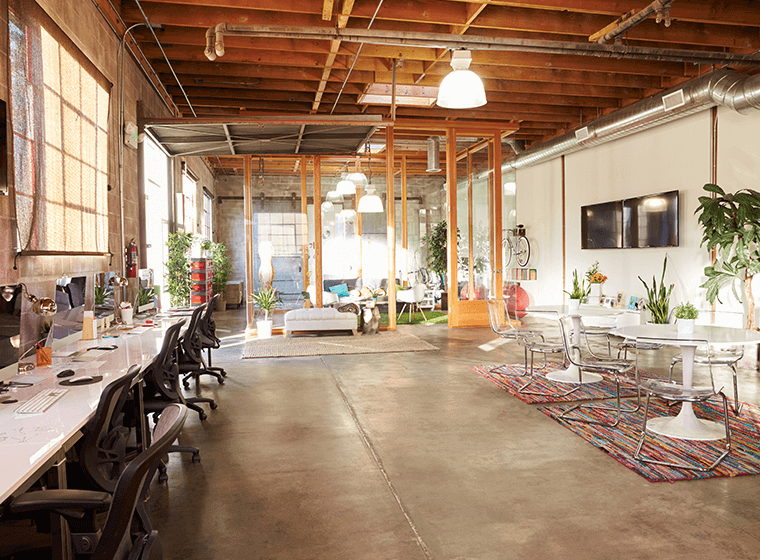 With all that natural light, we would all be happier and more productive. Unfortunately, it doesn’t quite work like that. Many of us end up stuck in cubicles or windowless offices. If that’s the situation in your home office or at work, don’t fret. 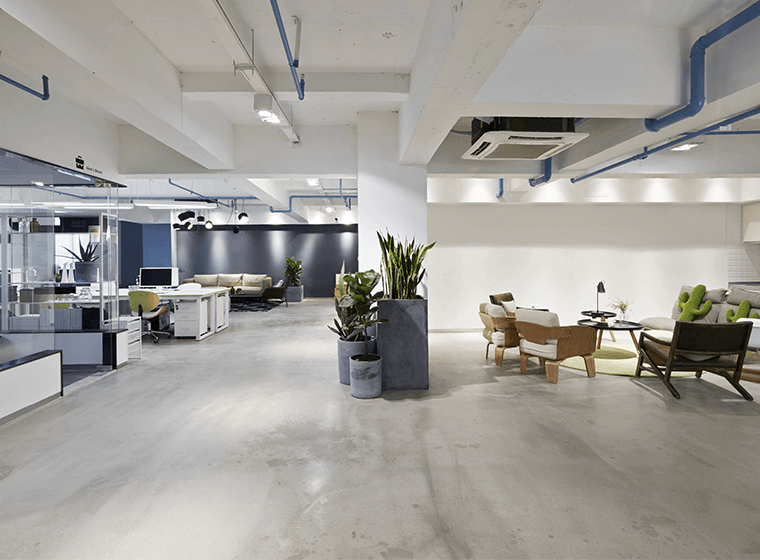 Even though you might not have natural light to work with, you can still create a chic and comfortable space to work in that is every bit as cool as an office full of windows. When you have a windowless room, there are a few things you need to consider before you start decorating. If you can make structural changes to the room, it can have a huge impact. Can you add in a glass door or wall to brighten things up? Can you create a window between rooms to help open it up? These are big changes that might not be possible for many areas, so if you can’t take on big renovations, don’t fret! 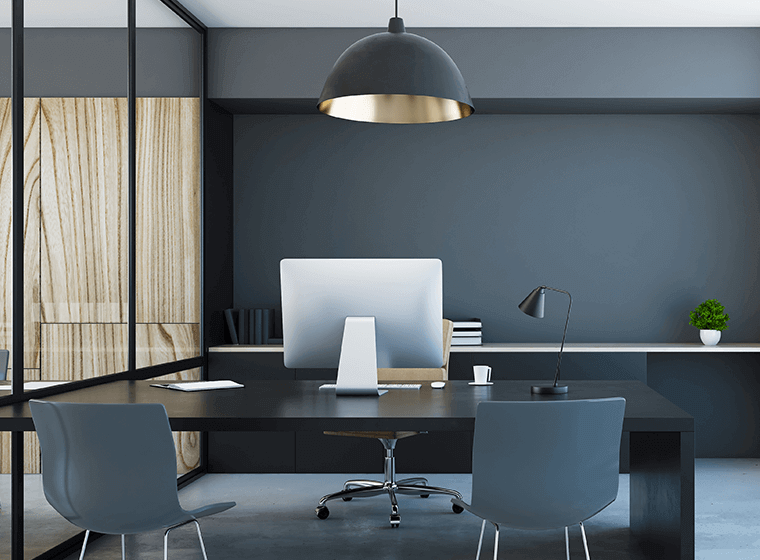 There are still plenty of things you can do to make your office feel brighter. The best way to brighten up a dark room is to switch up the paint color on the walls. This can make a huge difference in terms of how your room feels. While bright white may seem like the best color for a windowless room, if the lighting isn’t right, it can actually make the room feel darker. Go for something with a little more color or a warmer shade of white to liven up your office. A few of our favorites are soft gray, blush pink tones, and powdery blues. If you’ve got fluorescent lights, they’re going to make your room look dark and dull. Avoid turning on the overhead lights and create warmer light with lamps instead. You’ll notice a big difference when you switch up the light sources. You can also look for ways to add hidden lights—tuck in small lamps behind furniture, on shelves, and in other more hidden spaces to create more light. If you don’t have windows, why not fake them? Give the impression of large floor to ceiling windows by adding in some light and airy drapes. This look really stands out when you use a whole wall. It gives the feeling that there’s more space behind, even when there’s really not. A well-placed mirror can make a small room seem much bigger. Not only does it mimic a window, but it can also visually expand the room, and add a sense of depth. Mirrors also reflect some of the light, which helps to make the room feel bright and warm. Plants can really help make your room feel bigger and brighter. However, when you deal with a lack of natural light, you need to choose your plants carefully. Look for specific varieties that do well in low light areas and don’t need much light. A few suggestions are snake plant, prayer plant, and some varieties of ferns and palms. 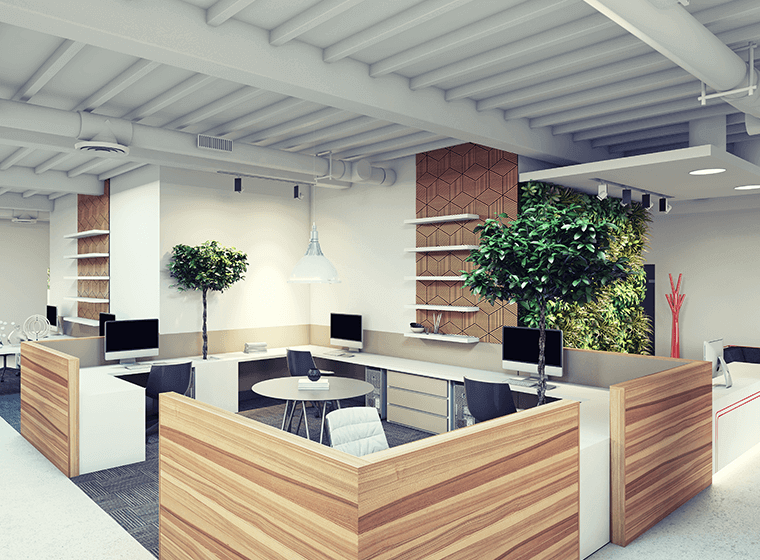 Do you have an office that you want to brighten up? When you're ready to talk about painting your space, book a free estimate with us!